Known for its wealth and prosperity, the tree-lined Victorian and Edwardian streets of Fulham are picturesque. This makes the Fulham rentals market a bit on the pricier side when it comes to the housing. However, what you get in a flat for your money will be worthy of the higher price. With a convenient central location, Fulham is situated just west of Chelsea, which might be indicative of what sort of area it is; posh. To the northwest lies Hammersmith, Earl’s Court, Baron’s Court and West Brompton. The locals who call Fulham home are an eclectic mix of party-goers, upper-class businessmen, artists, and young families; having a wide range of various types of personalities in this residential location. One big factor of the Fulham rentals market being so extraordinary is from the well known Lady Margaret school, which is one of the most sought after schools in all of London. This school has attracted many young couples just starting out their families to flock to this area. Fulham is known for its nightlife, as there is a wide array of pubs, clubs, and restaurants that the locals have been known to take full advantage of after a hard day of work. Want to know more about Fulham Rentals? The Michelin Star winning Hardwood Arms pub has retained its status as the only pub in London to have been awarded this prize. Found in Walham Grove, this laid back pub with high-quality food and drink comes at a reasonable price for its services. This small hidden gem with a minimalistic ambiance has a short menu, however, the food will not disappoint. Good Grub Guide award-winning popular pub, The White Horse, is definitely favored amongst the locals, who call this establishment, “Sloaney Pony” or the “Sloane Ranger”. Being one of London’s most iconic pubs, equipped with a beer garden, The White Horse is also widely known for its food. Serving up traditional British cuisine with a European twist, The White Horse hasn’t only won awards for the pub, but also for their food; making The White Horse an all time favorite to visit. This award winning pub and restaurant can be discovered in Parsons Greene. 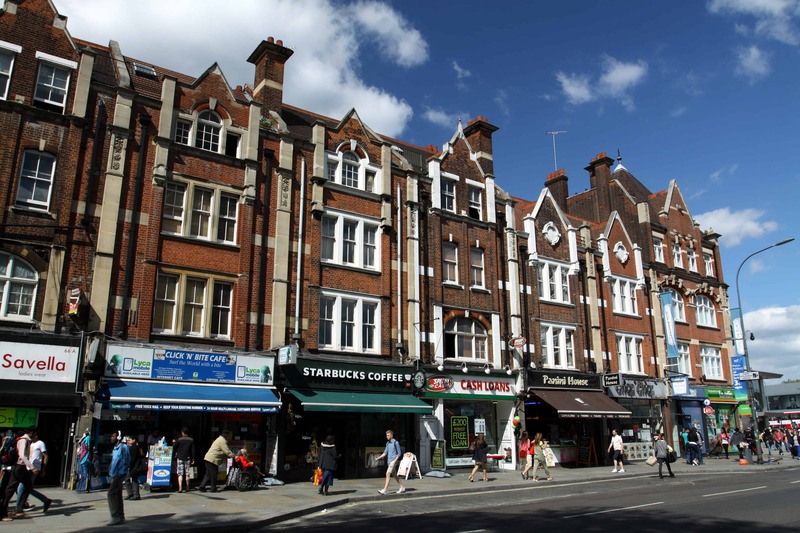 Fulham is just as well known for its wide variety of shops, from high-end fashion to vintage furniture shops. Lillie Road has a plethora of places to shop. Circa Vintage, a prominent second-hand store, is well loved by the residents of Fulham. Selling top notch vintage clothing, this independent shop is designed to please, making it a fun boutique shopping experience for all. If you’re looking for some home improvement, Posh Rosh, located on Fulham Road, has a wide variety of home goods and more. Ranging from the kitchen, home decor, toys, electrical, outdoor, and gifts, Posh Rosh is a one stop shop for home essential needs. Bishops Park, well loved by the locals, is known for having an old feel with a contemporary twist. This park truly has a little something for everyone. From a skate park to a playground, gardens, a walking path, lawn bowling, a basketball court, and a river; Bishop Park is the most popular spot to catch some time to unwind and breathe in the fresh air. South Park, deemed to be a favorite spot for dog owners, is a go-to spot for humans and dogs alike. Being a vast, green open space, the locals frequent here with their children, pets, or a friend to just come and relax. Much like Bishops Park, there are a handful of amenities; including a tennis court, basketball court, and a playground for the little ones. Fulham is on the Wimbledon branch of the District Line, giving you three stops for Fulham on the Underground; Parsons Green, Putney Bridge, and Fulham Broadway. The Overground service is served by the Imperial Wharf train station. Also, there are 4 convenient bus routes, the 14, 22, 211, and 414.